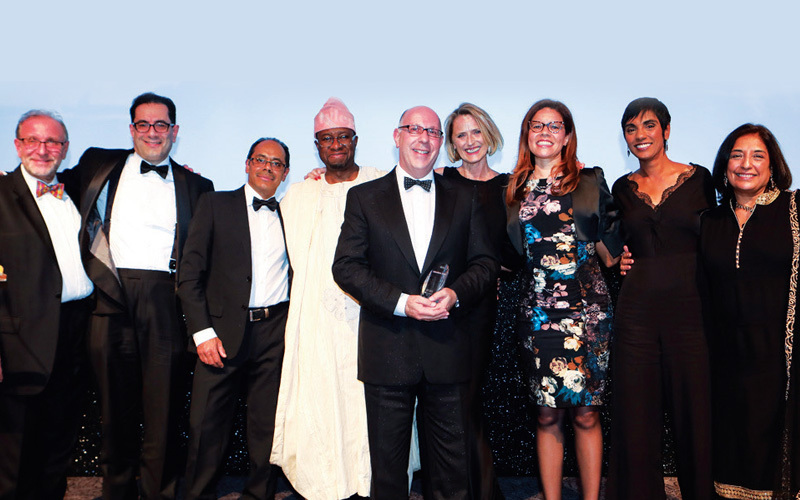 CELEBRATED: Above, Freemans Solicitors, who won the award for Managing Diverse Talent; inset left, Courtenay Griffiths QC, who won the BSN Lifetime Achievement Award. 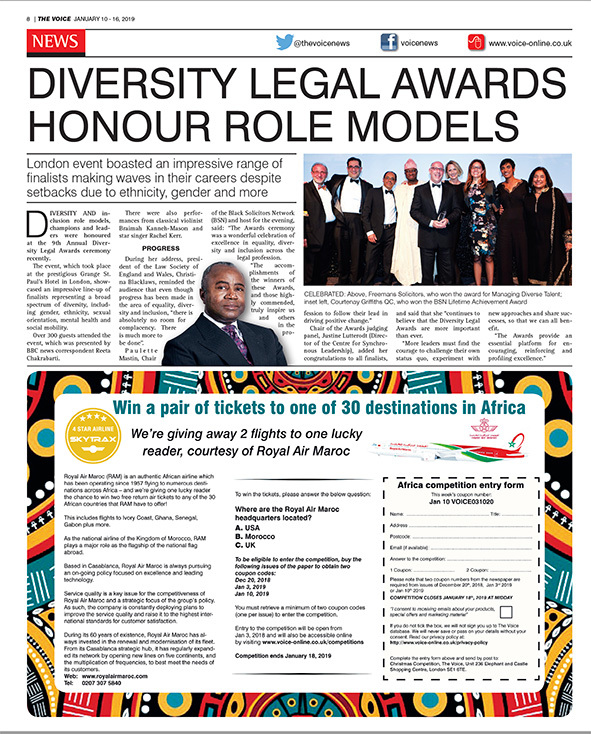 Diversity and inclusion role models, champions and leaders were honoured at the 9th Annual Diversity Legal Awards ceremony recently. The event, which took place at the prestigious Grange St. Paul’s Hotel in London, showcased an impressive line-up of finalists representing a broad spectrum of diversity, including gender, ethnicity, sexual orientation, mental health and social mobility. Over 300 guests attended the event, which was presented by BBC news correspondent Reeta Chakrabarti. There were also performances from classical violinist Braimah Kanneh-Mason and star singer Rachel Kerr. During her address, president of the Law Society of England and Wales, Christina Blacklaws, reminded the audience that even though progress has been made in the area of equality, diversity and inclusion, “there is absolutely no room for complacency. There is much more to be done”. Paulette Mastin, Chair of the Black Solicitors Network (BSN) and host for the evening, said: “The Awards ceremony was a wonderful celebration of excellence in equality, diversity and inclusion across the legal profession. Chair of the Awards judging panel, Justine Lutterodt (Director of the Centre for Synchronous Leadership), added her congratulations to all finalists, and said that she “continues to believe that the Diversity Legal Awards are more important than ever. “More leaders must find the courage to challenge their own status quo, experiment with new approaches and share successes, so that we can all benefit. “The Awards provide an essential platform for encouraging, reinforcing and profiling excellence.